In a totally thorough, yet fresh look at the most important global event of the 20th century, bestselling journalist Richard B. Stolley takes you on a journey from the escalating tensions of pre-World War II Europe to the creation of the atomic bomb. This dense and fast-paced “history in pictures” flows chronologically, beginning with the prelude to the war, and ending with the conflict’s aftermath. Classic images from the LIFE archives, such as the moments just before and after that unforgettable kiss captured by Eisenstaedt in Times Square, as well as rare government photos recently released from other countries, such as chilling color photographs of Hitler taken by his personal photographer, make this volume a picture history, of unparalleled depth and power. 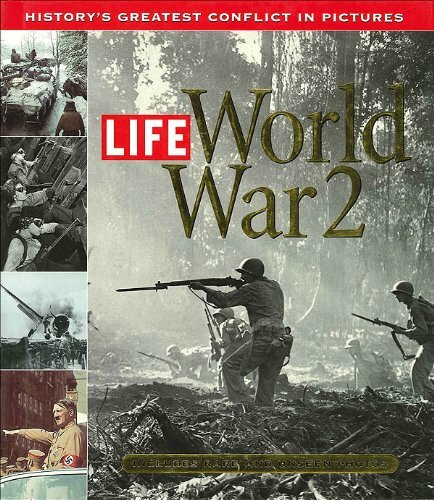 LIFE: WORLD WAR II also includes essays from leading luminaries in the fields of military experience and history, including John Eisenhower, John Keegan, and Alistair Horne, and profiles of major leaders as well as little-known heroes, which bring the face of courage into sharp focus.